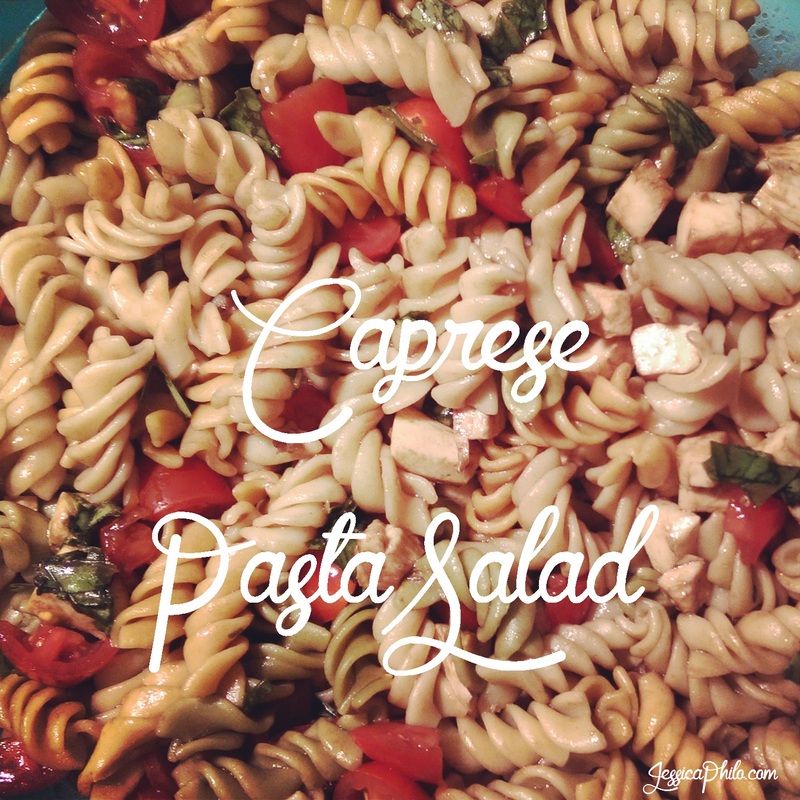 Summer is prime pasta salad season. This Italian-esque pasta salad combines everything I love (minus bread): garlic, tomatoes, and cheese. Oof. Plus, it’s incredibly simple to make. I’m not about these 17 step recipes that require me to do things in the kitchen I’m not comfortable with. Baby steps. Push two cloves of garlic through a press and set aside for 10 minutes. Put water on for the pasta and cook following the directions on the box. While your water is heating and your pasta is cooking, cut your tomatoes into fourths, dice your mozzarella, and cut your Basil into ribbons. In a small bowl, combine garlic, balsamic vinegar, and olive oil. Whisk together. Once your pasta is cooked, rinse with cold water and place in a large bowl. Combine pasta, tomatoes, mozzarella, basil, and vinaigrette mixture. Mix well.